A Very Warm Welcome from DesignWorks, Wigan. 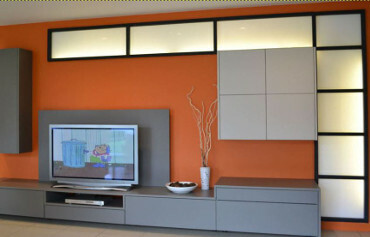 For Quality-Bespoke- Fitted-Kitchens-Bedrooms-Home-Office/Studies & TV Media Units. Packed full of modern and classic interior design ideas, together with some very useful tips (see below), our website is designed to help you get the very best ideas and advice for your home improvement projects. You're sure to find the most beautiful, made-to-measure, highest quality & affordable, designer-fitted kitchens, bedrooms, home office/studies and custom-made lounge furniture. After browsing our website, why not take time out to arrange a personal appointment with Owner, Steve Green. Using his flair for creative design and his practical approach, Steve will develop your thoughts; you'll explore new possibilities and with the benefit of his experience and enthusiasm bring your combined ideas to life. Below are some examples of our work... so you can see what DesignWorks can do for You. For Customer Comments & more examples of our work... go to our Testimonials Page. 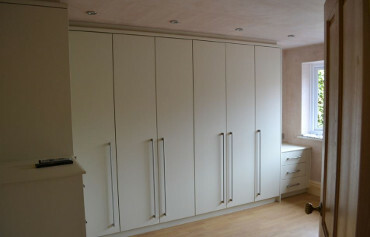 For even more photographs of our work ... why not visit our About Us Page & personal Houzz uk Page. The kitchen is now considered to be the heart of the home. Make sure yours is practical and welcoming... as well as beautiful. The use of curved doors within a kitchen or bedroom space can really soften the lines and create a smooth flow. Solid-wood doors age and mature over the years; colour variation and shade change is a feature of this type of door and not a fault. The degree of colour change is purely dependant on the amount and intensity of light in your room, since wood is a natural product this change should be expected and welcomed as it adds to the beauty of your home. Defrost your freezer regularly. Just a centimetre of ice in your freezer increases the consumption of electricity by about 50%. It's a lot more than cupboards and drawers... when you are planning a new kitchen, you need to be sure you have enough storage and the right kind of storage. The aim is to have, 'A place for everything and everything in its place.' Benjamin Franklin (1706 - 1790), with all your groceries, crockery, cutlery, glassware and pans stored where you can get to them easily. A ten year fridge is an energy guzzler - a new, A+ rated appliance will save you money in the long run. Energy can also be saved by it's positioning - the cooler the location; the lower the energy consumption. Reducing the room temperature by just one degree reduces the energy consumption of a fridge by about 6% and of a freezer by about 3%. Choose muted tones of cream, blue, green and grey to accentuate a traditional atmosphere in your kitchen. Using the same colour of paint on walls, ceiling and woodwork creates a strong, clean, contemporary look. The room will feel calmer and much bigger because without contrasts you can not tell where things stop and start. The choice of handle or knob, and even it's positioning on the door, can dramatically alter the look of your kitchen. Store your utensils near to where they are most likely to be used. Streaky marks sometimes show on dark coloured surfaces after cleaning. E-cloths are the best way to remove streaks on shiny surfaces. Choose simple, Shaker-style doors with long, brushed-steel handles to create the balance between a classic and modern style kitchen or bedroom. A quality kitchen is usually the second biggest expense after buying a house. It's important to get expert help. Finding a kitchen designer you can work with to create a scheme tailored to your needs can be a time-consuming process but really is worth the effort. Asking and answering plenty of questions helps ensure you and your designer are on the same wave length from the start. If you love blue, remember true blues and blue-greens are cool and can look cold; lavenders, violets and 'eau-de-nil' will give you more warmth. A double-galley kitchen is suited to narrow spaces. Wide drawers 'lengthen' a kitchen, while fully integrating appliances prevent a narrow space from feeling cluttered. 'Design - is not just what it looks like & feels like. Design is how it works'. Steve Jobs (1955 - 2011). Getting the storage right is key to creating a practical kitchen. Think about how you cook, shop and entertain. Having sufficient cupboards is essential - which should all be the correct size and in the right location - or you'll find yourself walking excessively around the kitchen work zone to access poorly placed drawers and units. To quote Designer, Charles Eames (1907 - 1978), 'The details are not the details. They make the design.' How true! Never under-estimate the importance of well-designed light switches, door handles, drawer knobs and taps - they not only look good but feel so much better. Plan your kitchen according to your lifestyle. Your kitchen is a room you probably spend a lot of your time in so, the colour scheme needs to work for you. Before you decide, try out various tones - samples of paint, tiles and wallpaper come in handy here - and remember colours change with the light. Check the effect at different times of day: natural daylight enhances and heightens the intensity of a colour while clever lighting can change the tone - and the mood - at the flick of a switch. Work out how much you can afford to spend. Be realistic! Set a budget - decide on the basics and then any extras you would like. Don't set your heart on a high-tech, 'state-of-the-art' design with 'all mod cons' if your budget won't stretch that far. Knowing how much money to set aside is essential. It can avoid disappointment later on. 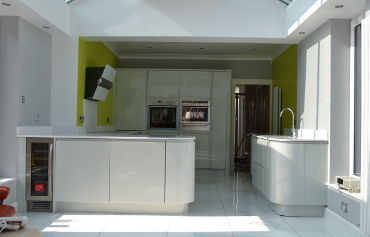 Choose DesignWorks in Wigan for your new bespoke Kitchen, Bedroom, Home Study or Lounge furniture project. It's worth the time and effort to personally visit showrooms to check the quality of the cabinets, services offered and, of course, what's included in the price. 'Stick to things you really love. An honest room is always up to date'. Billy Baldwin (1903 - 1983). Glass cleaners should not be used on your worktops because they contain ammonia; using any such solvent damages the worktop and shelf edgings, even the platings on your handles. Don't operate electrical appliances (for example, a kettle or toaster) under wall cupboards; bring appliances forward to allow the steam to escape. When decorating small spaces that have little or no natural light use a single strong colour to create an intimate, dramatic look. Use plastic, wood or wicker drawer tidies to keep small kitchen equipment in order. Place them on open shelving, in addition to cupboards and drawers. Create a focal point with an island in your kitchen. But remember, it's important to have plenty of room to walk around the island and to be able to open units, drawers and appliances on both sides. Plan what you'll do when your room (kitchen, bedroom or study) is out of action and establish when the best time would be to start the work. Work out exactly how much you have to spend on your new project. If you haven't enough spare cash, consider increasing your mortgage. Most mortgage lenders are willing to approve loans for home improvements - and a quality kitchen will always add to the value of your home; the cost will be offset by the increase. Companies offering 'interest free deals' should be avoided. 'Have nothing in your house that you do not know to be useful, or believe to be beautiful'. William Morris (1834-1896). Which ever style of kitchen, bedroom or study you choose - from classic to contemporary - never compromise on the quality! To banish scratches, watermarks and fingerprints from stainless-steel appliances, use baby oil to make them gleam. If planning for a new kitchen and you're considering re-configuring the space (e.g. moving the sink or having an island with hob/cooker/fridge in the middle of the room) think about the cost implications of the building work and existing services of water, drains, gas, electricity. And don't forget to consider the job of dismantling and removing your existing kitchen/tiles, etc. Kitchens are like beautiful cars - choose the right one and it's a pleasure to live with. Bright blue absorbs light so, use it carefully - preferably in a room that's regularly filled with sunlight and naturally warm. When planning to buy a new kitchen do some research into how much things cost and think about your priorities. It's surprising how quickly everything adds up! 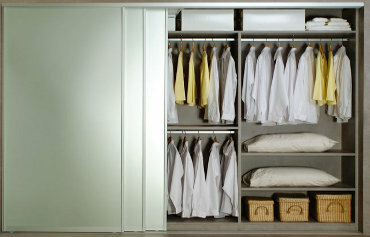 Consider your current room - too dark, poorly designed, not enough storage or preparation surfaces, etc. and then think about how it could be improved i.e. how do you want to use it and the changes needed: Kitchen - for cooking, eating, relaxing, entertaining? Bedrooms - for sleeping, dressing, relaxing, reading? 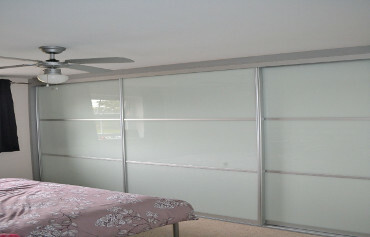 Spare bedroom for dual purpose - study & guest? Large-patterned wallpaper needn't be limited to large rooms or feature walls - it can look stunning anywhere in the home and makes a stylish statement in even the smallest room. Consider buying specialist magazines and look through brochures to get an idea of the kind of look you like best. Find out about current trends and forecasts. Remember having a theme in mind will help. White and yellow are good if you want to make a room seem larger, and brighter. Useful if you have a small area to work in. When buying new, ‪fitted, bedroom furniture you need to be sure you will have enough storage and the right kind of storage; with all your bedding, clothes, shoes and accessories stored where you can easily get to them. The aim is to have, 'A place for everything and everything in its place'. Benjamin Franklin (1706 - 1790).